I found this recipe for 100 Perfect Whole Wheat Pancakes in the latest Cook’s Illustrated magazine. 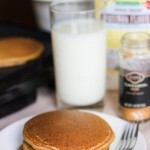 In the article, they discuss how there are very few pancakes recipes that use 100 percent whole wheat flour – most use a combination of white and wheat, white whole wheat flour, add oats (or oat bran, wheat bran), etc. I knew I had several pancake recipes that used white whole wheat flour, oats, oat bran, wheat bran, and combinations of them all, but I thought for sure I had a basic whole wheat pancake recipe. Then I searched through all the pancake recipes on the blog (all 24!!) and realized no such recipe existed! Say what?!? I knew I had to give their recipe a try! For whatever reason, I always thought that pancakes made with 100 percent whole wheat flour would be dense and heavy. This was based on my experience with 100 percent whole wheat flour yeast breads. Whole wheat flour isn’t ideal for yeast breads because wheat flour contains the bran and germ, and these don’t contribute to gluten formation – which is what we want with yeast breads. However, gluten formation is what we want to avoid with pancakes. More gluten = thinner and tougher pancakes. 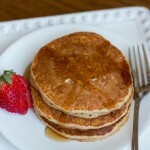 So what makes whole wheat flour problematic for yeast breads makes it ideal for pancakes! 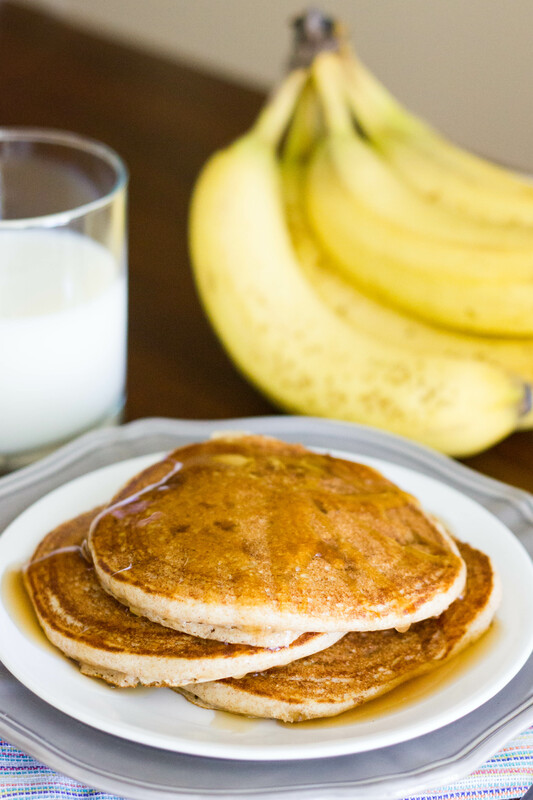 Typically we avoid overmixing pancake batter (to avoid gluten formation), but with whole wheat pancakes this is not an issue. Mix the batter until smooth; the whole wheat flour has less gluten than white flour and the bran will cut through any gluten strands that do form. Once again Cook’s Illustrated did not disappoint! These pancakes were amazing! 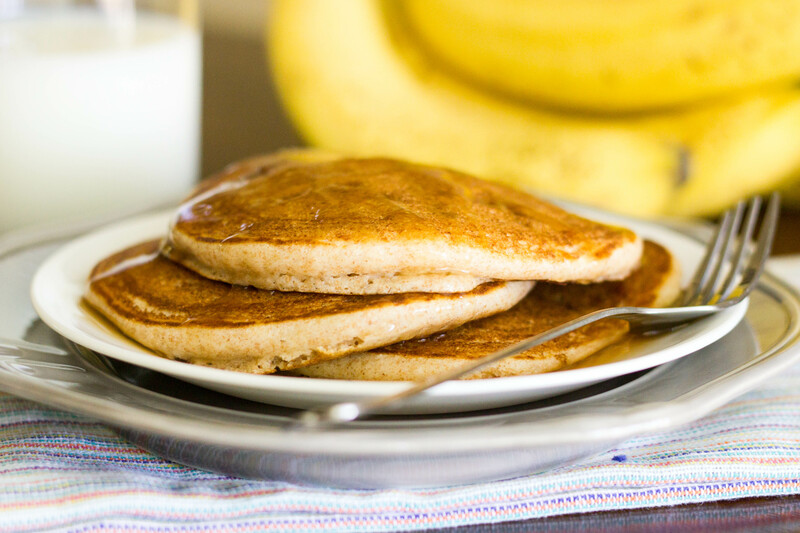 100% whole wheat, soft, fluffy, nutty, and addictive…everything a pancake should be =). Give them a try and let me know what you think! (And pick up a copy of their latest issue if you’re interested in more science-nerd explanations ;). ) Enjoy! 2. Heat 12-inch nonstick skillet over medium heat (or electric griddle set at 350 degrees). 3. Using 1/4 cup measuring cup or scoop, portion batter into pan . Cook until edges are set, first side is golden brown, and bubbles on surface are just beginning to break, 2 to 3 minutes. Flip pancakes and continue to cook until second side is golden brown, 1 to 2 minutes longer. Serve pancakes immediately or transfer to wire rack in 200 degree oven. Repeat with remaining batter. Makes ~18 pancakes. Note: Make sure your whole wheat flour is very fresh for best flavor. Nutritional Info (per pancake): 109 calories; 5 g fat; 12.4 g carbohydrates; 1.8 g fiber; 3.6 g protein. These pancakes are absolutely delicious. I give them five out of five stars! I added two additional tbsp. of sugar because my family likes sweet. I used Wheat Montana non-GMO 100% whole wheat flour. They were light, moist, “nutty,” and scrumptious. 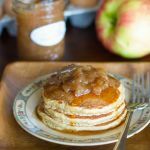 I saw Cook’s Country demonstrate these pancakes a few weeks ago on our local PBS station. 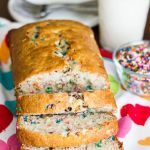 Thanks for sharing this recipe, Kendra! So glad you enjoyed them! Thanks for stopping by :). I don’t think Christopher Kimball was fired. Sounds like it was a contract dispute. I like him, in any case. I never have any trouble finding ATK recipes online. The cookbooks are really great, and I expect you can find those at your library, too.